Imagine a sandy beach, the perfect blue sky, a calm breeze, palm trees at the edge of the sand, and the most fantastic turquoise sea gently lapping on a white sandy beach…. Let us help you plan your Barbados wedding by finding your venue, the minister, magistrate, and making sure that the legal requirements are met. Getting married abroad can be hugely more appealing as an option to many couples, as the weather will be more predictable, and the wedding and honeymoon package can actually work out to be over £10,000 cheaper than your wedding would have been here in the UK. Many people are put off by the thought of all the red tape, and the complexities of organizing everything from here, and also the fear that their marriage may turn out not to be legally valid. 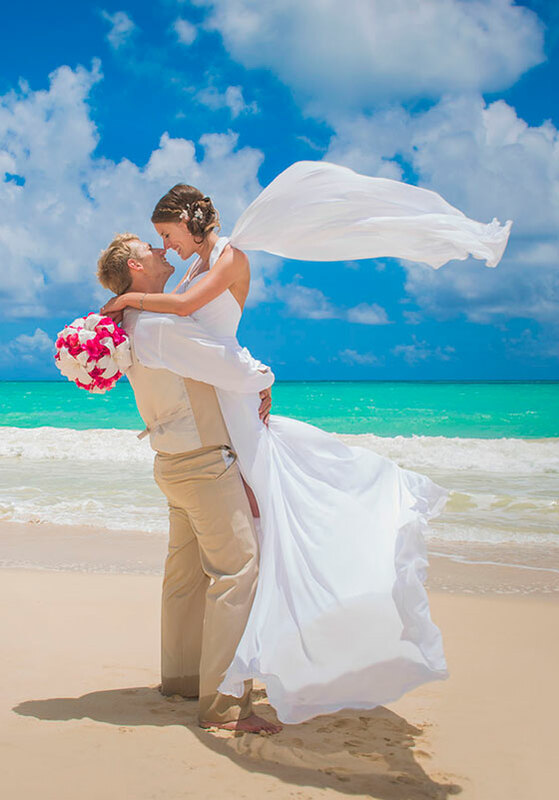 In fact there has never been a better, easier, or more popular time to get married abroad, and what better place to do it than one of the most enjoyable, and friendly islands in the Caribbean!